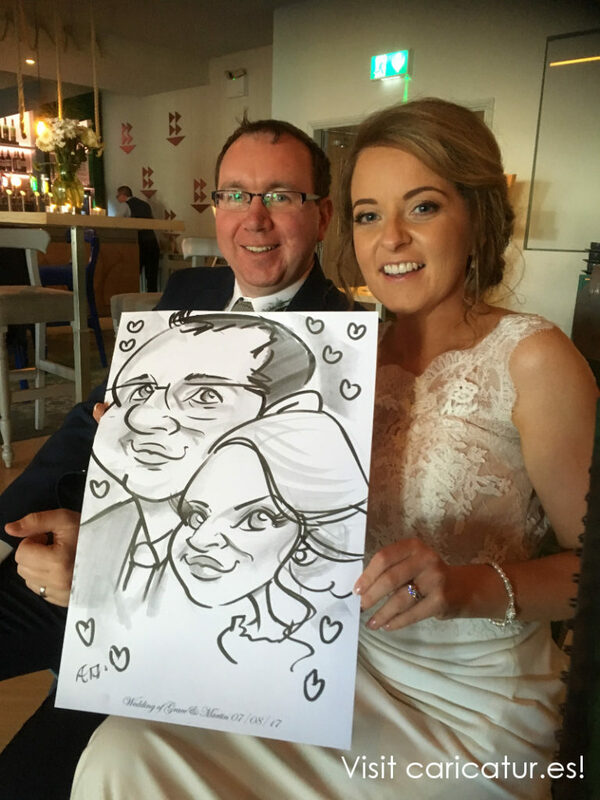 Armada Hotel Weddings Clare: here’s a few photos of my live caricatures on the wild coast of Spanish Point Clare! These are from August when I was down there for this lovely couple’s drinks reception. I had their guests in stitches, but with weddings you’ve got a motivated crowd! Part of the fun of live caricatures is getting an audience and letting the banter flow. It’s a brilliant focal point and ice-breaker, people get to know each other very quickly when they’re being rendered by my pen!